Good service, good company, excellent burning blocks. 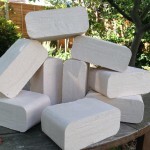 Good trusty product, good trustworthy company… Ive tried many different types of wood burning briquettes & in my opinion, the block briquettes provided by burningblocks.co.uk are the best. The briquettes are dense & heavy, with a long burn time & a high heat. The product is very clean to handle which is a real benefit to me with light coloured carpets. The service I receive is excellent. Its friendly, personable & I know when I place my order, it will arrive. Having just started to supply Burning Block Briquettes in our store, we’ve had great comments from our customers, saying how hot they burn and how clean they are. Last night I used them for the 1st time and was very impressed with them indeed. Not only were they easy to light, they burn with an attractive flame, they lasted a good couple of hours and put out more than enough heat. I can thoroughly recommend Burning Block Briquettes and would suggest anybody thinking of trying them to do so. You won’t be disappointed. Have been using Burning Blocks for a few days now and am very impressed. They light easily and throw out a good heat – great product! Very helpful delivery driver! Service and delivery flawless and the burning blocks are everything you guys said they were. Burn for ages, give off loads of heat without the mess and hassle of storing logs. You’ve converted me and I’ll be returning for more. The blocks arrived, as promised, first thing in the morning with a very cheery driver. We’ve used these blocks for a couple of years but this was the first pallet direct and we are delighted. The ordering process worked without a hitch and Sam kept us in touch with what was happening. 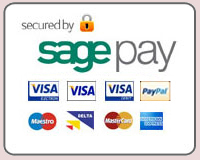 Excellent service and excellent product. Have been using Burning Blocks for a few days now and am very impressed. They light easily and throw out a good heat – great product! Very helpful delivery driver. I’ve only been using Burning Blocks couple of days, but so far I’m very impressed with their heat output. I have an temperamental range stove and I’m pleased to report that it has consistently been pushing out a lot more heat than usual. The oven has also been reaching a higher operating temperature than usual. The briquettes also produce a terrific heat on the open fire. I must say your birch blocks are fantastic and will certainly purchase more, thank you.